Not only is the first coin in in an exciting new series, but it’s also a first for the Royal Mint as it represents the first time that a special Tower mint mark has been featured on an official United Kingdom coin! The mint mark can be seen just to right of the Raven’s wings on the reverse of this £5 legal tender coin. 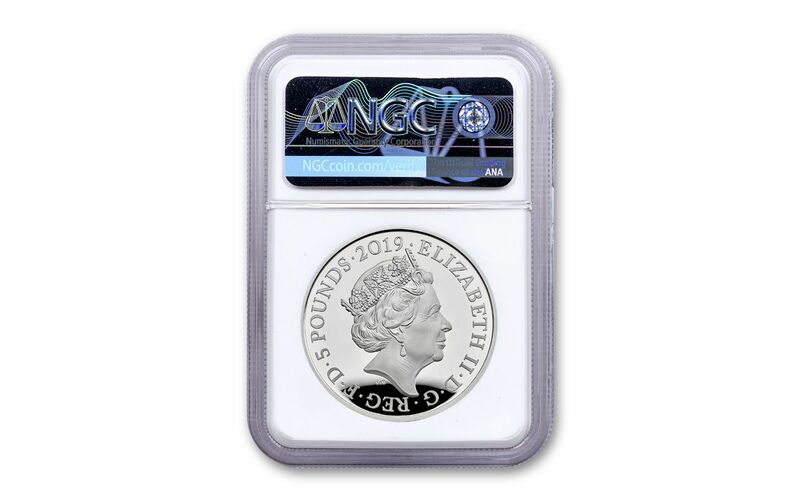 Plus, your coin has been graded by the Numismatic Guaranty Corporation (NGC) as being in near-perfect Proof-69 (PF69) condition, a distinction that means your almost-flawless coin will showcase an impressive full strike and indistinguishable imperfections – well above and beyond the quality of the vast majority of coins in the series. 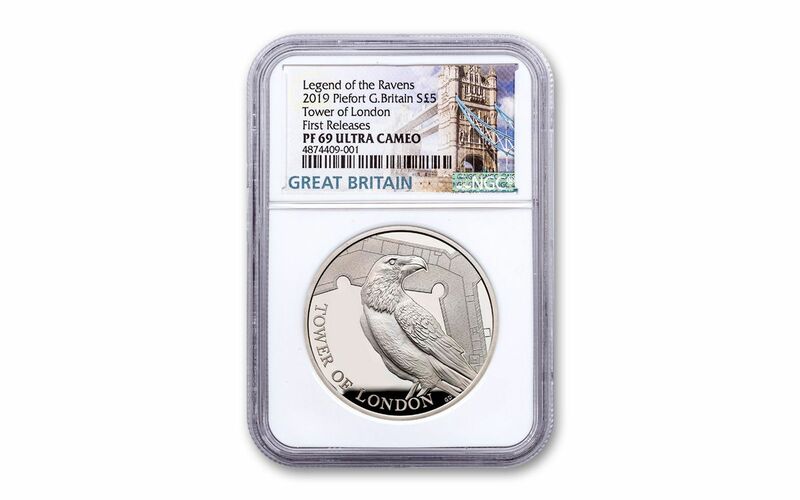 GRADED IN NEAR-PERFECT PROOF CONDITION – Your 2019 Great Britain £5 Silver Tower of London Ravens Proof has been graded by the Numismatic Guaranty Corporation (NGC) as being in near-perfect Proof-69 Ultra Cameo (PF69UC) condition. KEY FIRST RELEASES CERTIFICATION – Your coin will also be certified as a First Releases (FR) coin by NGC, meaning that it was received by NGC or an NGC-approved depository within the first 30 days of the coin’s release. It will come sonically sealed in an acrylic holder with an exclusive Tower Bridge label.